1st Call Appliance is family owned and operated with over 30 years experience and 25 years the appliance repair business our friendly staff and professional appliance service technicians strive for complete customer satisfaction with every appliance service call. Boston MA – A local appliance repair man explains how repairing a broken appliance can be a more practical solution than replacing it. Great new features in home appliances are tempting, but the cost is often discouraging in a troubled economy. A minor appliance performance problem does not always justify the cost of purchasing a new appliance. The challenge is in finding a reliable appliance service technician who can address the problem and provide an affordable solution. While some financially well-off families are quick to buy a new one, more sensible homeowners have discovered they can save money their appliances repaired by a professional. Most appliance problems can be fixed affordably. The cost of appliance repair varies depending on the extent of damage and the technician’s level of expertise. Someone new to the business might work cheaper to get more customers; however, he will not have the experience or knowledge of a company that has been in business for many years. 1st Call Appliance Repair (http://www.firstcallappliance.com/) is the premier independent appliance service provider in the Boston area. Bill Collins started the family owned business over 25 years ago to provide same day appliance repair in Southeastern Massachusetts. The local owned and operated company is small enough to give each client personal attention and large enough to address all major appliance repair needs. 1st Call Appliance guarantees customer satisfaction and offers a 2-year parts warranty. Their quality service continues beyond the completion of an appliance service call. If they are called back with a problem, they will return to address the issue promptly and professionally. Visit http://www.appliancerepairbostonma.com/ to learn more. 1st Call Appliance was formed from several smaller companies dating back to 1965. Bill Collins started the family owned business over 25 years ago to provide same day appliance repair in Southeastern Massachusetts from Boston to Plymouth. The local owned and operated company is small enough to give each client personal attention and large enough to address all major appliance needs including appliance repair, maintenance and installation services. 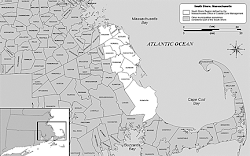 Boston, MA: Area residents and their adult children rely on 1st Call Appliance Repair Boston when they have problems with their home appliances. The family owned and operated appliance repair service has set a new standard of quality in the home service industry. 1st Call Appliance Repair was formed from several smaller companies dating back to 1965. Bill Collins began the family owned business over 25 years ago to serve residents in Boston communities and southeastern Massachusetts. The locally owned company is known for combining good old fashioned service with high-tech workmanship. 1st Call Appliance Repair confidently stands behind their service by offering a 2-year parts warranty. Their quality service continues beyond the completion of an appliance service call. If they are called back with a problem, they will return to address the issue promptly and professionally. Customers who have used 1st Call Appliance enjoy saving money as most appliance repair services cost less than 30% of the replacement cost. From the friendly and professional staff to the qualified appliance repair technician, the level of service exceeds customer expectations to guarantee at least 100% satisfaction. Visit http://www.appliancerepairbostonma.com/ to learn more. Boston MA – The local refrigerator repair man suggests simple tips to add years to the life of the appliance. Refrigerators are among the most important appliances in the home because they work 24/7 keeping food cold. They are also very expensive to replace. The good news is they will last about 20 years if properly taken care of. The refrigerator repair man with 1st Call Appliance Service (http://www.firstcallappliance.com/category/refrigerator/) often provides his customers with information to help the refrigerator perform better and last longer. Cleaning the condenser coils is the most important refrigerator maintenance task one can do to keep it working efficiently. The coils are located at the back or on the bottom of the unit. Dust and debris must be vacuumed out at least once a year to remove build up and promote air flow around the appliance. Interior temperature is the most important function so the refrigerator repair man informs owners that it should be kept around 37 degrees. The factory has a recommended setting for the dials. Warmer temperatures allow food to spoil and colder temperatures cause the refrigerator to work too hard to maintain the temperature. A common problem addressed by the refrigerator repair man is cracked or damaged door seals. They should be flexible and kept clean to allow the door to seal properly when shut. An inefficient seal will allow cold air to escape, causing the refrigerator to run more and cost more to operate. Even a well maintained refrigerator can break down. Refrigerator repair should only be handled by a qualified service technician to avoid personal injury, electrical shock, or further damage to the unit. 1st Call Appliance Service technicians are qualified to work on most refrigerators and they understand the urgency of getting this one fixed right away. No one wants to lose a refrigerator and freezer full of food while waiting for a service technician to arrive. All appliance service technicians with 1st Call Appliance present a professional image as they arrive in lettered vehicles and clean uniforms. 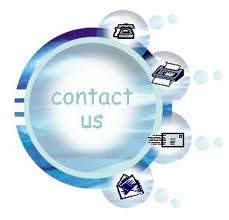 Their friendly service and professional workmanship ensures the customer that things will be in working order soon. 1st Call Appliance Service gets the job done right the first time, on the first visit. Scheduling appliance repair service is easy and Saturday appointments are available. All parts and work is guaranteed. Visit http://www.appliancerepairbostonma.com/ to learn more. 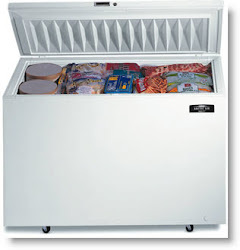 Boston MA – The local freezer repair man is often asked how to maintain a freezer to keep it working as efficiently as it did when it was new. People often think the unit is wearing out or malfunctioning when it begins to make noise or run more than usual and cool less efficiently. According to freezer repair specialist with 1st Call Appliance Repair, this is one of the most common problems with freezers and refrigerators. All cooling appliances have condensing units that must be kept clean to improve air flow for efficient operation. When it becomes clogged with dust, animal hair and other debris, the unit will run more and cool less, resulting in substantially higher energy usage. Refrigerator and freezer repair technicians with 1st Call Appliance Repair (http://www.firstcallappliance.com/category/freezer/) suggest using a vacuum to clean the condenser unit, usually located behind or under the appliance. The owners manual should provide instructions and tips for cleaning. This very necessary freezer maintenance should be performed regularly. Frequency depends on environment. For example, families with pets will want to do this more often. The freezer repair experts warn owners of damage to the inside of a freezer caused by foods like melted ice cream or orange juice. Some foods and beverages can cause paint to rust or peel. They suggest making sure food is packaged properly to protect the inside of the freezer from leaks and preserve the quality of the food. Keeping the outside clean is also important, not only for looks, but efficient performance. Dust and debris, mixed with moisture around the door seal will prevent efficient operation and cause the unit to run more. Wipe the outside often with a non-abrasive cloth and mild cleaner. Keep the door gasket clean and free from debris for a better, tighter seal. When freezer performance problems are not easily fixed with routine maintenance then the factory trained freezer repair technicians with 1st Call Appliance are prepared to fix the problem quickly. They realize the urgency of repairing the freezer right away to prevent food from spoiling. 1st Call Appliance was formed from several smaller companies dating back to 1965. Bill Collins started the family owned business over 25 years ago to provide same day appliance repair in Southeastern Massachusetts. The local owned and operated company is small enough to give each client personal attention and large enough to address all major appliance repair needs. Boston MA – A local washer repair technician enjoys sharing maintenance tips with customers while servicing their appliances. The washer is often taken for granted with few people giving thought to the potential damage it can cause to the home. The water supply hoses are under constant pressure and if one should burst the home would quickly fill up with water. According to the washer repair man with 1st Call Appliance Repair (http://www.firstcallappliance.com/category/washing-machine/), the hoses should be replaced with high quality hoses to reduce the risk of bursting. Check the hoses often to be sure they are not leaking or bulging. A common problem addressed by the washer repair technician is noise, rocking and banging during the spin cycle. This typically means the washer is not level. Many washers come with self-adjusting legs that cam make leveling simple. Refer to the service manual for leveling the washer. Owners should know if their washing machine flushes lint down the drain or if there is a removable lint collector which needs to be cleaned manually. The service manual will contain this information. With many appliances, cleanliness is important for both looks and function. Keeping the exterior clean will prevent damage to the finish caused by detergent dripped onto the surface. Clean the inside of the washer to remove bacteria, mildew and residue accumulation by running it empty, with hot water and vinegar. The appliance service technicians with 1st Call Appliance Repair are happy to provide tips and information to help make appliances work better and last longer. They also warn residents that attempting to repair or replace electrical components can be dangerous and result in further damage. 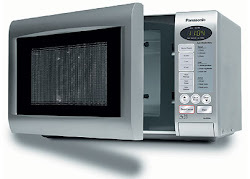 Some appliance repair service should only be handled by a factory trained and certified technician. 1st Call Appliance strives to get the job done right the first time, on the first visit. Scheduling appliance repair service is easy and Saturday appointments are available. All parts and work is guaranteed. Boston, MA: A local Boston home appliance service provider is so well known in the area that many people believe they are the only ones around. Area residents say 1st Call Appliance is the only appliance service they call for new appliance installation, appliance repair or maintenance and appliance parts for the savvy do-it-yourselfer. Residents in the Greater Boston area are quick to refer 1st Call Appliance Repair to family, friends and neighbors who enjoy quick, professional service and same day appliance repair. 1st Call Appliance is a family owned and operated company formed from several smaller companies dating back to the 60’s. Bill Collins started the appliance repair business over 25 years ago to provide prompt and affordable service in Southeastern Massachusetts. The locally owned and family operated company is small enough to give each client personal attention and large enough to address all major appliance repair needs. 1st Call Appliance Repair guarantees customer satisfaction and offers a 2-year parts warranty. 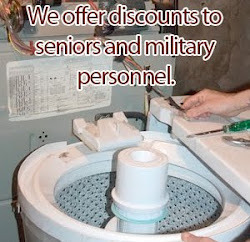 Their quality service continues beyond the completion of an appliance service call. If they are called back with a problem, they will return to address the issue promptly and professionally. Boston MA – The local dishwasher repair technician with 1st Call Appliance is often asked how to keep the appliance looking new and operating smoothly. Common complaints among customers include yellowing or staining on the exterior and rust and dirty spots on the inside. They are concerned that their dishes may not be coming out as clean as they expect when the appliance looks so bad. 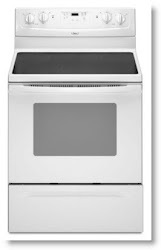 Residents searching the internet for solutions to dishwasher problems may stumble onto the 1st Call Appliance Repair (http://www.firstcallappliance.com/category/dishwasher/) website where they have posted dishwasher maintenance tips. The dishwasher repair man suggests tips for keeping the exterior clean, wiping the door and hinges after each use. Wiping the exterior often will prevent staining and build-up. There are appliance cleaners available that are designed for cleaning the exterior. Check the label and follow instructions for best results. When asked about rusting on the inside the dishwasher repair expert suggests using a special rust remover designed for appliances. Also be sure to keep the filters clean. The owner’s manual will provide instructions. Keep working parts like the sprayers clean. Racks may require some maintenance. Wheels on the bottom can break. 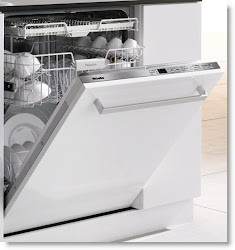 Another common dishwasher problem is water leaking around the appliance. Gasket seals can become worn or damaged. This is an easy fix. The experts suggest soaking the new gasket in hot water before applying it to the door. When the dishwasher fails to operate or performs poorly in spite of proper maintenance area residents rely on 1st Call Appliance Repair. Their specially trained dishwasher service technicians can help with problems like poor cleaning, leaks, noisy operation and electrical problems. 1st Call Appliance Repair has served area residents for over 25 years, providing urgent appliance repair in SE Massachusetts. Customers enjoy good old-fashioned service from qualified technicians who are authorized to service most brands of home appliances. Visit http://www.appliancerepairbostonma.com/ to learn more.